Victoria Falls is twice as high as Niagara and more than twice as wide. 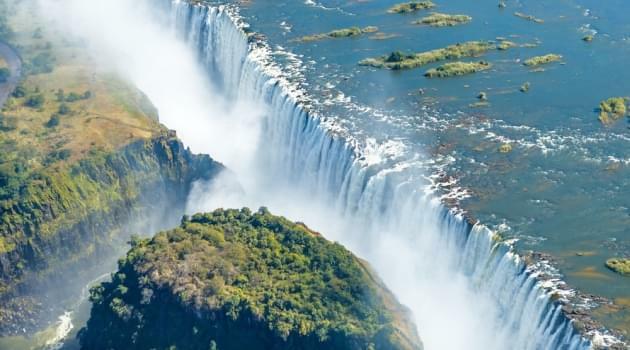 Located in southern Africa in Livingstone, a town named after the first European to discover this natural wonder, the waterfall is on the border between Zimbabwe and Zambia. David Livingstone was a missionary from Scotland who had been exploring and living in Africa for some time before he discovered the falls. On November 18, 1855, he arrived by boat at an island in the Zambezi River and gazed in awe at the spectacle of swirling and boiling waters. Victoria Falls is a major tourist attraction in both Zimbabwe and Zambia, and you should visit both sides. Zimbabwe offers the best views of the waterfalls, but from Zambia you can take breathtaking walking trips to the foot of the falls. 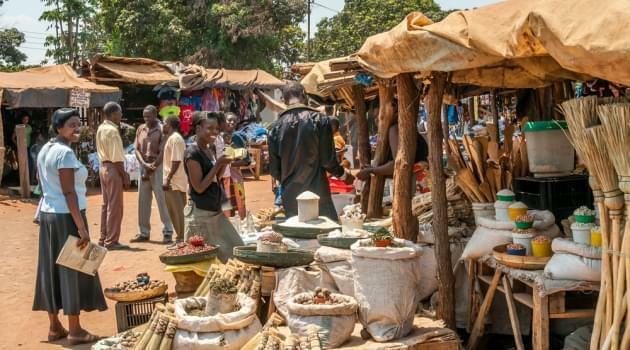 Both countries require U.S. visitors to get a visa, but visas can be obtained on arrival at the airport in Zimbabwe or at the border of Zambia. Fees range from $20 to $55. Some hotels in Livingstone are quite affordable. There are very expensive luxury hotels, but there are also nice 3- or 4-star hotels that cost between $50 and $150 a night. As for the airfare, even this faraway destination can be reached with an award ticket. Victoria Falls Airport is located near the town and is served by two airlines of interest to award ticket travelers: South African Airways, a Star Alliance partner, and Comair Limited, which is a British Airways subsidiary and oneworld alliance affiliate airline. Using United miles to fly to Victoria Falls on South African Airways is the best option, because you won’t have to pay fuel surcharges. Award flights on South African Airways cost slightly more miles than on Comair, but you will save up to $1,000 in taxes and fees. If you can’t find the dates you need with South African Airways, or if you don’t have United miles, you could use American Airlines miles and fly on Comair. To minimize British Airways fuel surcharges, fly to London on American Airlines, and then catch a flight from London to Victoria Falls via Johannesburg on Comair. Although this route will save you about $200, you may still have to pay up to $800 in fees and surcharges. It’s possible to get to Victoria Falls through more complicated routes, but it’s much easier to book with either United or American Airlines miles. Both offer good availability, with the obvious advantage going to flying on United’s fee-free partner, South African Airlines.